I have always been pretty medium on tomatoes (I get it from my mom, who despises tomatoes). 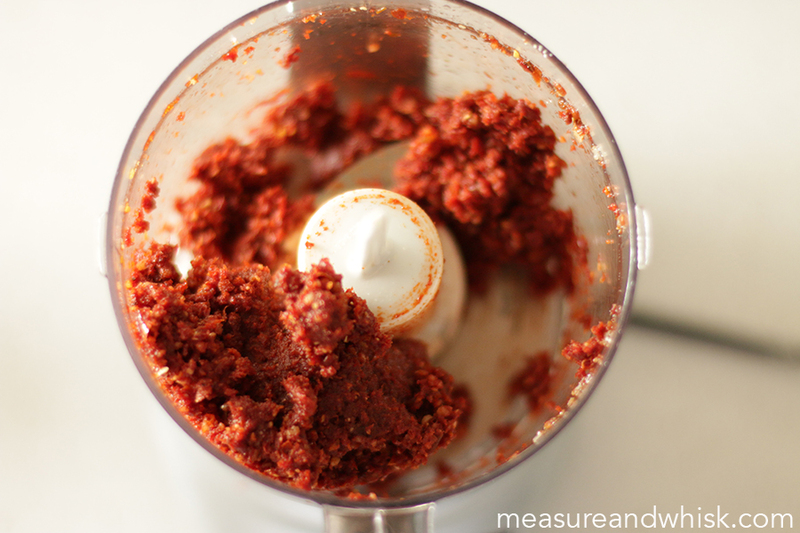 I have gotten over a lot of this aversion over the years, and now I can eat salsa with gusto, as well as tomato soup, and marinara sauces, but tomatoes (especially raw) on hamburgers, in pasta or eggs still makes me cringe. 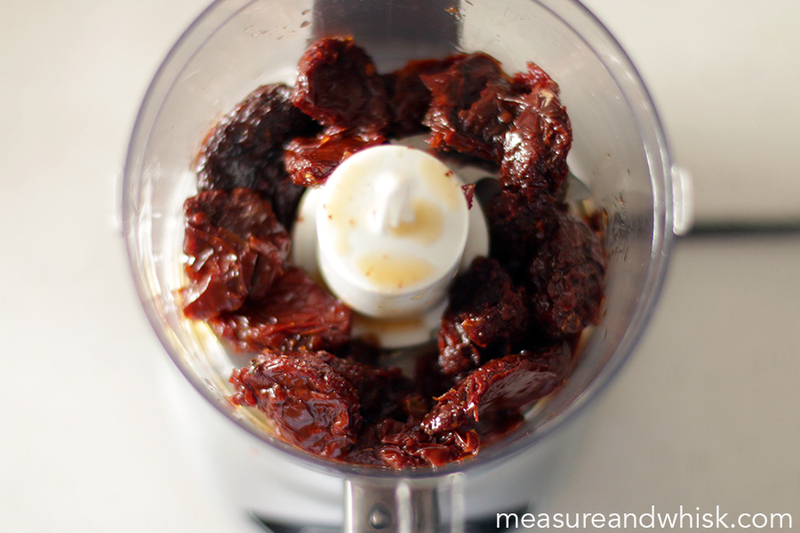 So it came as a real surprise to me when I discovered that I really love sun-dried tomatoes. 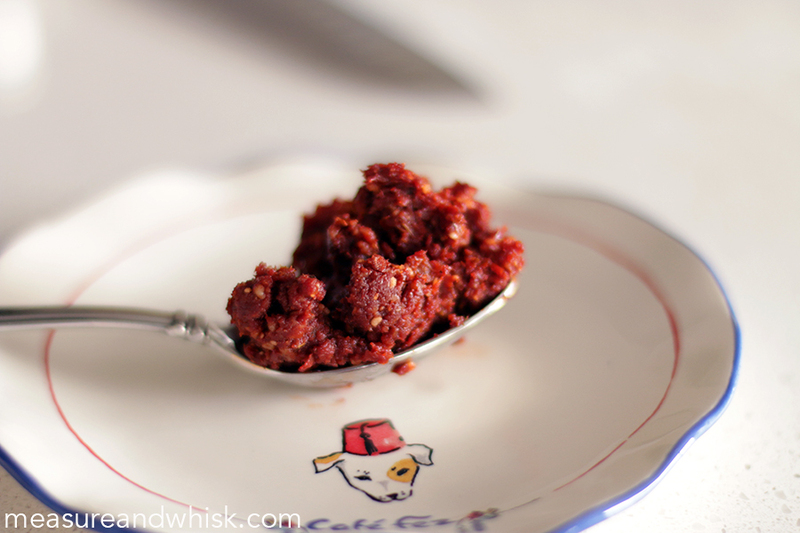 Somehow, the change in flavor and texture puts them in a totally different category, and they are one of my favorite additions to pasta, and toasted sandwiches. 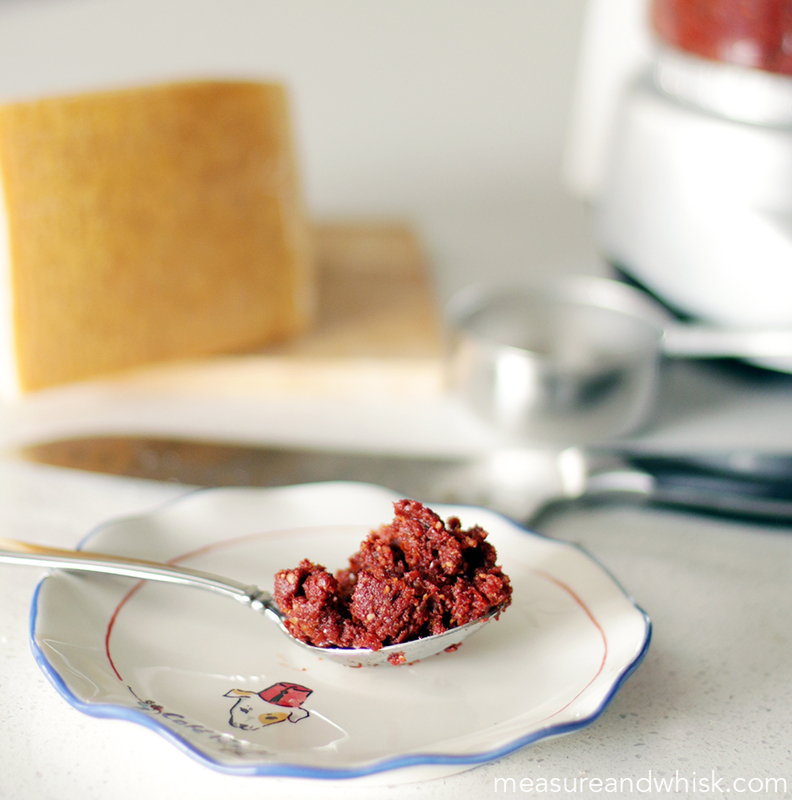 Sundried tomato pesto was a no-brainer after this discovery, and I love making and eating it! 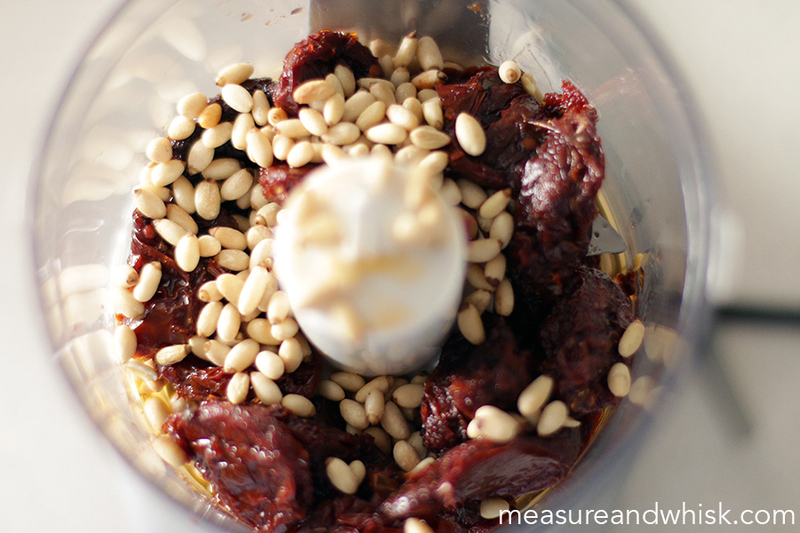 It is a somewhat expensive spread to make (with pine nuts, real parmesan and sundried tomatoes), but it packs an incredible punch and you don't need much in a dish to make a real difference. Try it out on a toasted sandwich, or mixed with your favorite pasta noodle. You won't regret it! 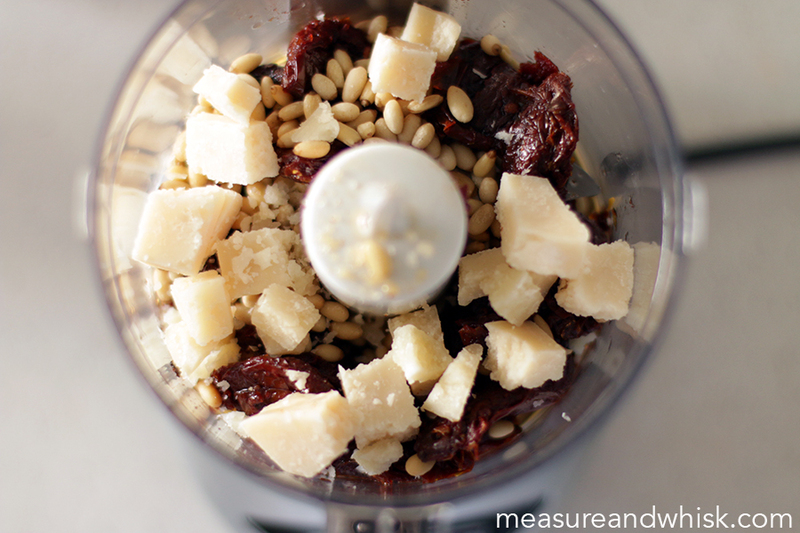 Combine all ingredients in a food processor and blend until mostly smooth. Makes about 1/2 cup. Yum...we bought a jar of this in Paris and it was so good!